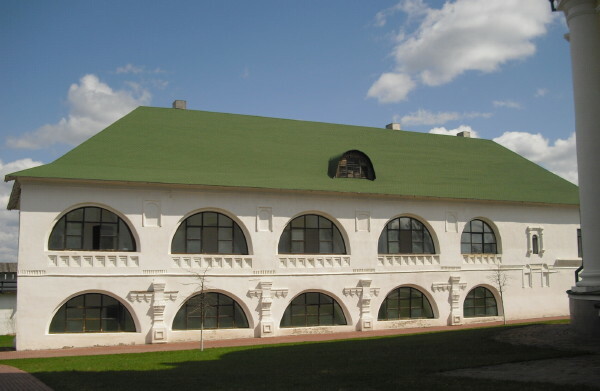 Novhorod-Siverskyi [Novhorod-Sivers’kyj]. Map: I-14. 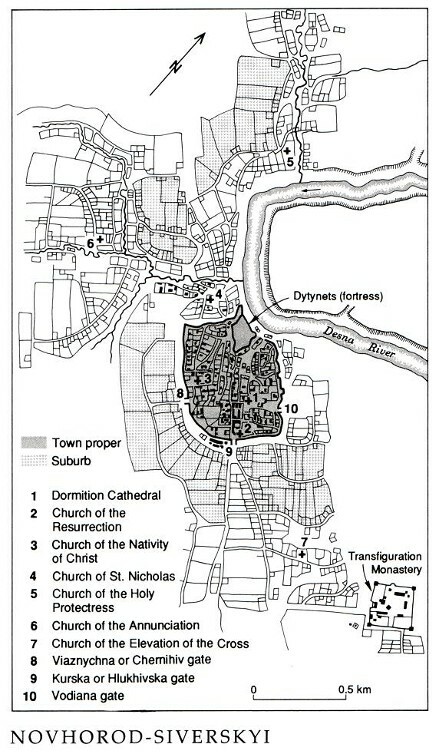 (City plan: Novhorod-Siverskyi.) 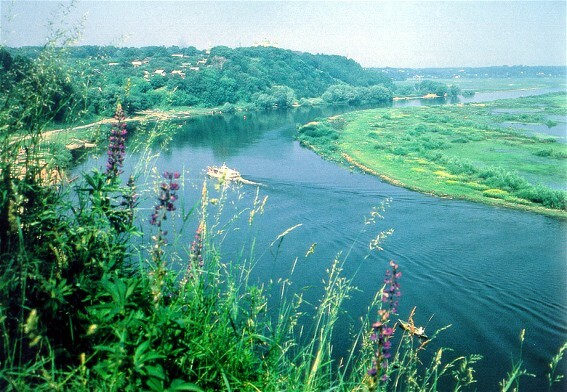 A city (2001 pop 15,175) on the Desna River and a raion center in Chernihiv oblast. According to archeological evidence it was founded in the 980s. 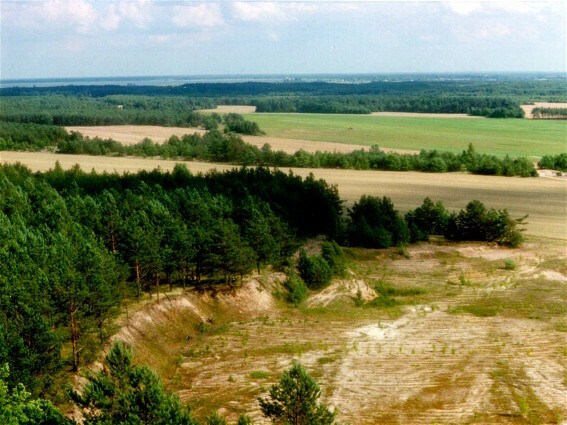 It is first mentioned in the chronicles under the year 1044, and the Laurentian Chronicle lists it as the center of the Siversk principality in Kyivan Rus’. 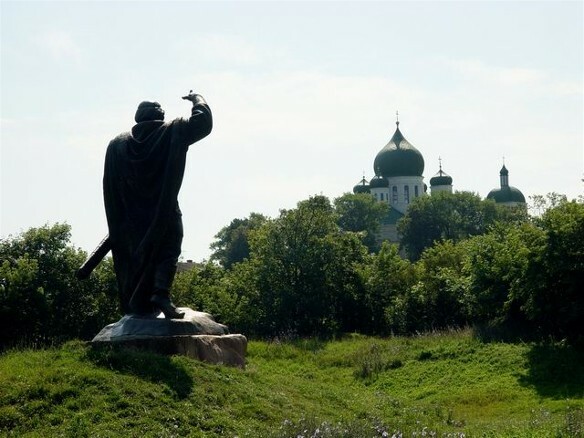 One of its rulers was Ihor Sviatoslavych, the central figure of Slovo o polku Ihorevi (The Tale of Ihor's Campaign). 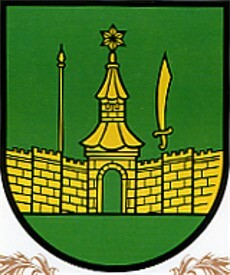 In 1356 Novhorod-Siverskyi was annexed by the Grand Duchy of Lithuania, and in 1503 by Muscovy. In 1620, while under Polish rule (1618–54), it obtained the rights of Magdeburg law. 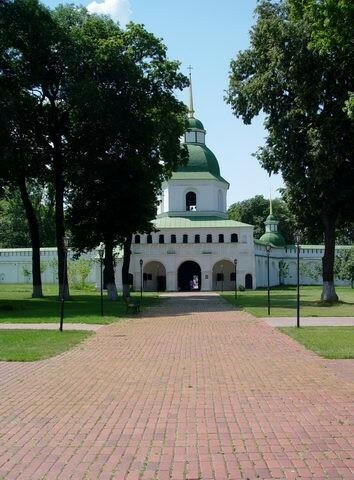 Under the Hetman state it was a company center in Nizhyn regiment (until 1663) and then Starodub regiment (until 1781). 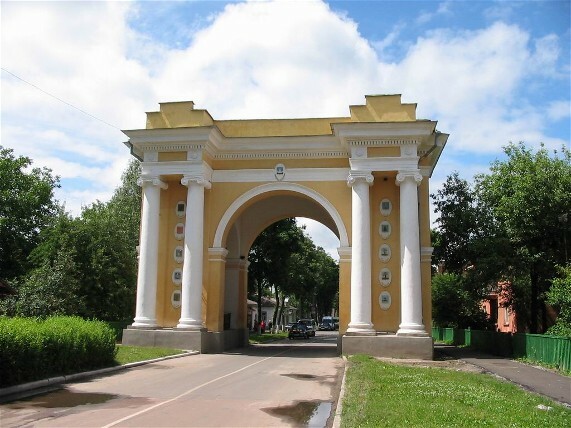 Within the Russian Empire it was the capital of Novhorod-Siverskyi vicegerency (1782–96) and then a county center in Little Russia gubernia and Chernihiv gubernia. 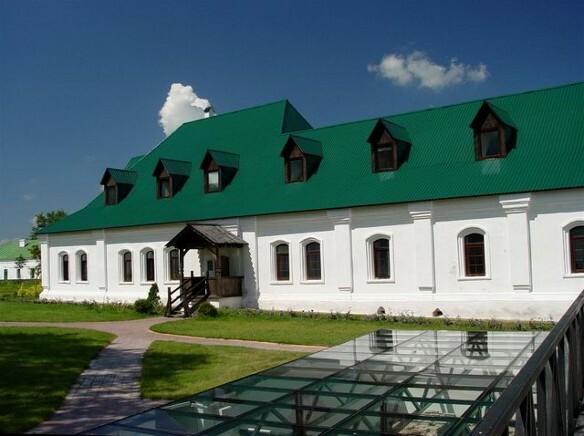 In the 17th and 18th centuries the Novhorod-Siverskyi Transfiguration Monastery (see Novhorod-Siverskyi Press) and the Novhorod-Siverskyi Gymnasium played an influential role in Ukraine's religious and cultural life. Today the city is a railway junction and a river port. It produces asphalt, construction materials, dairy products, and cotton fabric. Its many architectural monuments include the Dormition Church (1671–1715) and its bell tower (1820), the wooden Saint Nicholas's Church (1760) and the Church of Saint Mary the Protectress (1767), the Transfiguration Monastery complex (11th–17th centuries), and the Transfiguration Cathedral (1791–6), which stands on the ruins of the 12th to 13th-century cathedral. There are also several buildings in the Classicist style: the triumphal arch (1786), the gymnasium (1808), and an early 19th-century trading mall.